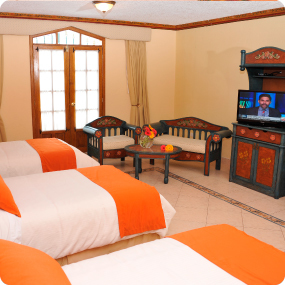 A collection of deluxe rooms located in the block called “La Ronda”; a copy of one of Quito’s old town most representative streets. 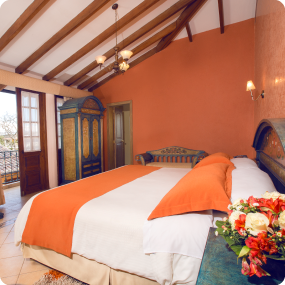 Our Premium rooms are in the block called “El Relicario”; inspired in colonial houses architecture where everything revolves around a central courtyard and beautiful garden boxes. Spacious rooms decorated with hand-carved furniture with ceramic inlays which create welcoming cozy spaces with lots of character. 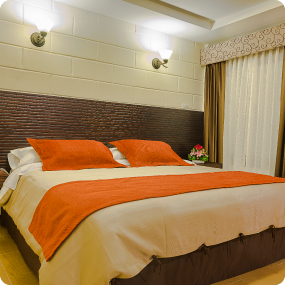 Comfortable rooms that combine decoration and functionality for a repairing rest. 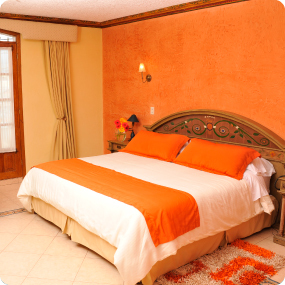 Spacious rooms decorated with hand-carved furniture with ceramic inlays. They feature a very friendly family room. Located in La Ronda, these are comfortable duplexes that have a preferential balcony view.